Check your propane tank, do you have enough propane for your Memorial Day BBQ? Just click on it to print, can be used anywhere that accepts manufacturer coupons, not just walmart. Does FB make you feel like the worst parent in the world? Facebook is a great tool to keep up with friends and relatives but sometimes it can just be a complete downer, here's why: I absolutely believe knowledge is power, when you know better you do better, and just because previous generations have been doing something doesn't always mean that it's right, but the constant barrage of posts from people"this is bad" "this has chemicals in it" "this has feces in it" "this has sugar in it" "gluten is evil" "corn is evil" "you are eating pesticides" starts to make you feel like you are the worst parent in the world. 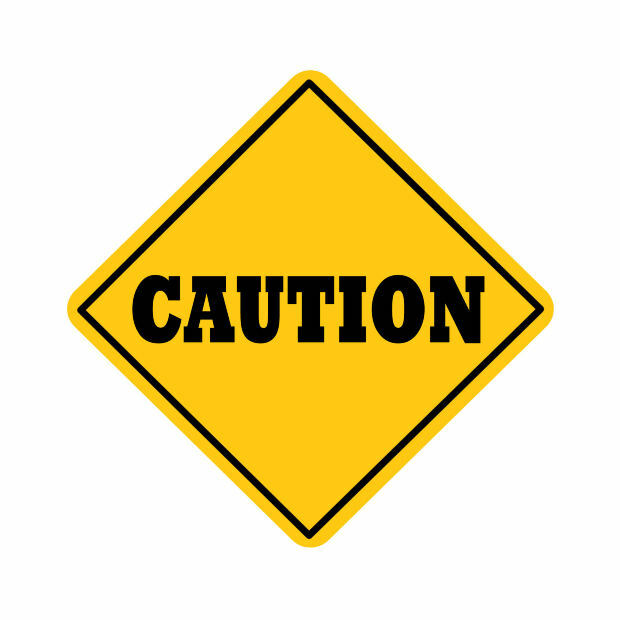 I do some organic but I let her have lollipops with red dye #whatever in it, we don't go gluten free and I use sugar, I buy ground turkey instead of beef for the health benefits but now I found out 90% of it is tainted with feces. I use sunscreen so she won't burn to a crisp and have skin cancer by the time she is 29 like I did but I'm sentencing her to another kind of cancer for sure because of the ingredients in sunscreen. I'm feeding her lots of fruit and vegetables but not all organic, does the benefit of eating them outweigh the fact that they are loaded with pesticides and will probably cause some form of cancer. I cook a lot from scratch and try to make healthy balanced meals with not a lot of meat and lots of fish but the mercury levels in fish are off the charts so is the health benefit of fish totally cancelled out by the fact that it's full of mercury. We don't eat a lot of packaged food but the food we eat is not all organic, is it better to just eat a diet of all organic packaged foods. Should I not be using toothpaste if it's not Tom's of Maine? I'm using organic canned diced tomatoes in meals but the cans are leaching unsafe metals and chemicals into the food so does that cancel out the fact that it's organic? I've tried to not use any plastics that are not BPA free but I have been known to heat up leftovers in a BPA free plastic container and even though it is BPA free it's still leaching out chemicals when exposed to heat. So here's what you do, YOU DO THE BEST YOU CAN! Become informed about the topics that are of most importance to you, knowledge is power, when you know better you do better but don't let it make you crazy, you just do the best you can with what you have, take small steps if you want by changing this or that but don't get so freaky about food and other things that it negatively affects the quality of your life or your children's lives. I absolutely believe that we are living in a soup of chemicals and that they cause a myriad of health problems especially cancer. 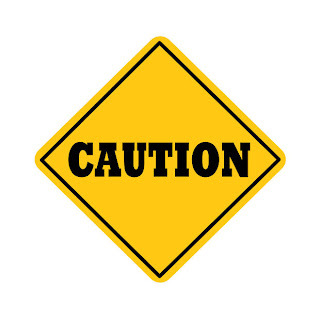 We're also eating unsafe quantities of sugar and diabetes is becoming so common and killing people at an alarming rate, there are a lot of things that are going to kill us, I'm not going to bury my head in the sand but I can't live in constant fear. I'm going to feed my family the best that I can, always trying to learn more to make the right decisions but I'm going to try to not constantly beat myself up about every new post that pops up on FB about the dangers of this or that or that I fed my family a meal of feces tacos last night, hey I thought they tasted pretty good! Ok I know the picture is not great (I have a sucky camera) but you kind of get the idea. This is an awesome snack that I make for myself and my 5 yr old, loaded with protein and potassium, it is so yummy in fact the reason I didn't try to take a better picture is because I already ate it. It's just peanut butter on whole wheat toast with slices of banana on top, off course you could use almond butter, you could use different bread, whatever you want to try. I love it because it satisfies my sweet tooth without having to eat a bag of M&M's, although now that I think of it M&M's would be really good sprinkled on top! Garlic should be it's own food group, I could sit and eat garlic with bread and olive oil for hours, no one will want to be around me for days but what can you do. I buy the big bulk bag at Costco because I use so much of it but there is always some dried out cloves when you start getting to the bottom of the bag. Just for the heck of it I took some outside and put them in a pot of dirt and just left them. I've seen on Pinterest and other places that you can grow garlic just by planting cloves, so far it's working, this is about 3 weeks worth of growth. I read online that this is not the greatest time to plant garlic, it's better to plant in the fall. I'll just give it a try, it will probably be several months but I'll let you know if it turns out. 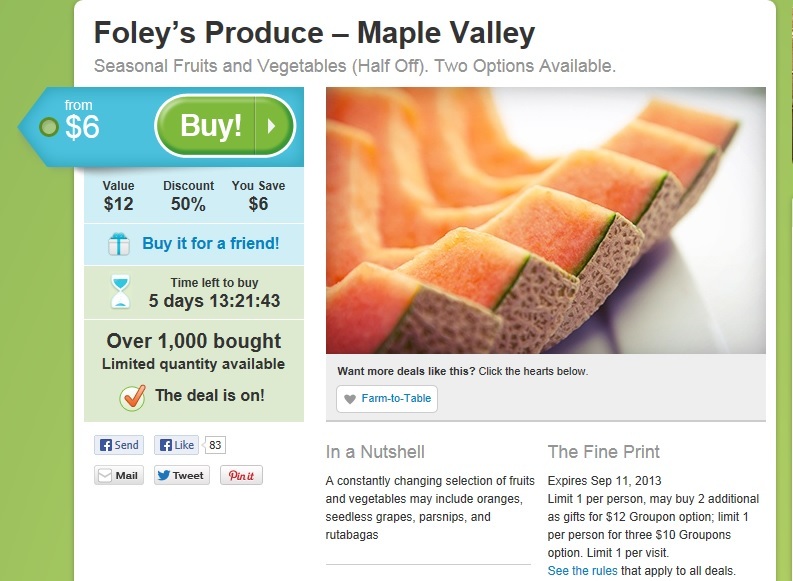 If you love Foley's Produce in Maple Valley grab this Groupon: $12 for only $6. Click Here and scroll down to find it. I love Foley's, the freshest produce, great variety and lots of organic! 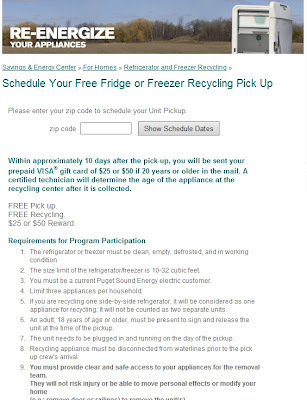 Puget Sound Energy Customers: Did you know that PSE will pick up and recycle an old refrigerator or freezer absolutely FREE and you will get a $25 or $50 rebate depending on the age of the appliance. 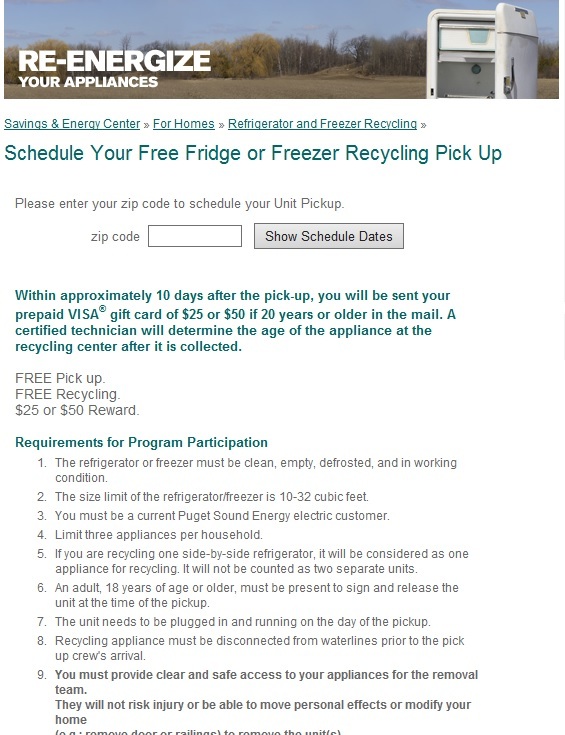 Go to Puget Sound Energy for all the details, they also have lots of other recycling and rebate programs that you can take advantage of. If you aren't a PSE customer I would still check your local gas/electric provider, I'm sure other cities and states are offering similar programs! Yes these phrases have come out of my mouth since becoming a Mother. 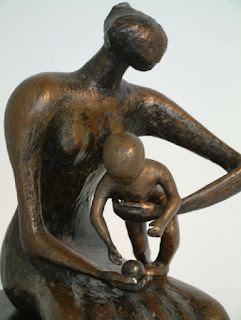 In honor of Mother's Day I wanted to share a few things that have come out of my mouth since becoming a Mother, things in a million years I never imagined I would say when I first held that little precious bundle in my arms. Welcome to Motherhood, tickets are non refundable. How many times did she poop today? We only use the word poopoo when we are in the bathroom, everywhere else it's a bad word. (At the doctor's office) Yes I have that sample of diarrhea in a baggy right here in my purse. No wonder your hoohoo hurts. Go wash, I told you to keep your hands out of your pants. That's why we are supposed to put on clean underwear everyday. No, kitties don't really care about Christmas. Eat your baby trees (broccoli). Why would you stick that in your mouth? Don't put that in your nose. Mom's can get a Free breakfast and cup of coffee at IKEA, valid Sunday May 12, opening until 11:00AM. Go with the family, get your free breakfast then put the kids in the Free childcare for an hour (that's all you get, but I'll take it) and just wander around and enjoy the freedom!!!! Holy Howlers Batman, the entire Harry Potter 8-disc DVD collection is only $37.71 right now on amazon, (if you read Harry Potter you'll know what Howlers are) check it out Harry Potter: The Complete 8-Film Collection , remember prices at Amazon can change quickly. 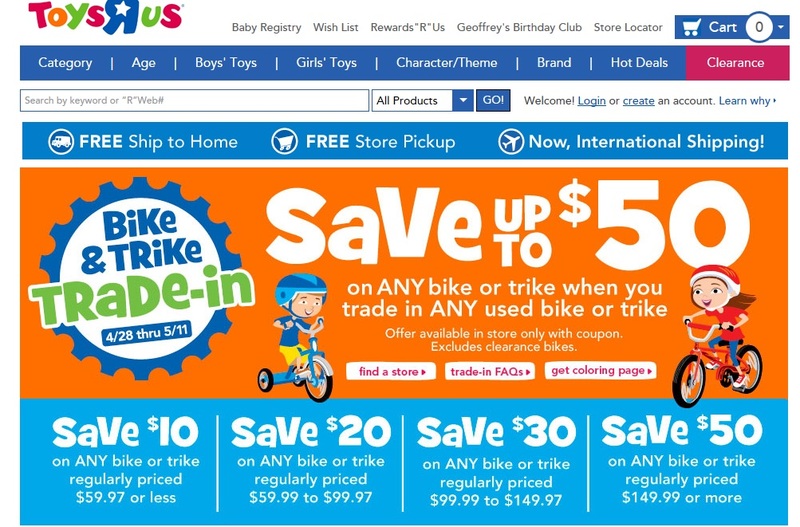 TAKE AN EXTRA 15% OFF YOUR NEXT PURCHASE! Print your coupon to shop in-store at Famous Footwear 5/2-5/12. Super cute sandals! First Saturday of the month so it's time again for the Home Depot Kids Workshop, Saturday May 4th from 9-12. This month they will be building an herb planter and decorating with stickers or paint, they are asking you to register so go here Register for details. Have fun, I'm sure we'll be there too! Chadwicks lovers: Have you signed up for their newsletter yet? Get 15% off when you sign up for the Chadwicks email newsletter. 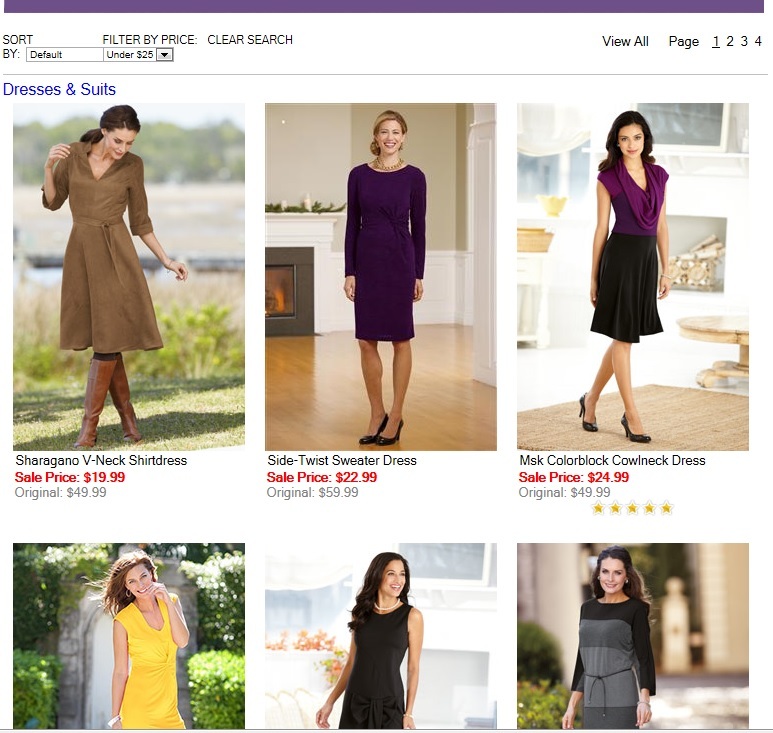 Of course the first place I always look is the clearance section, I found 4 pages of items $25 or less, dresses, blazers, tops, pants, even shoes.